Hintsa Performance is full of fascinating professionals. This time our Coaching Director Tarja Mulari shares her story. Tarja returned to her coaching roots by joining Hintsa Performance in 2015, after a decade as an entrepreneur in marketing and corporate culture development. 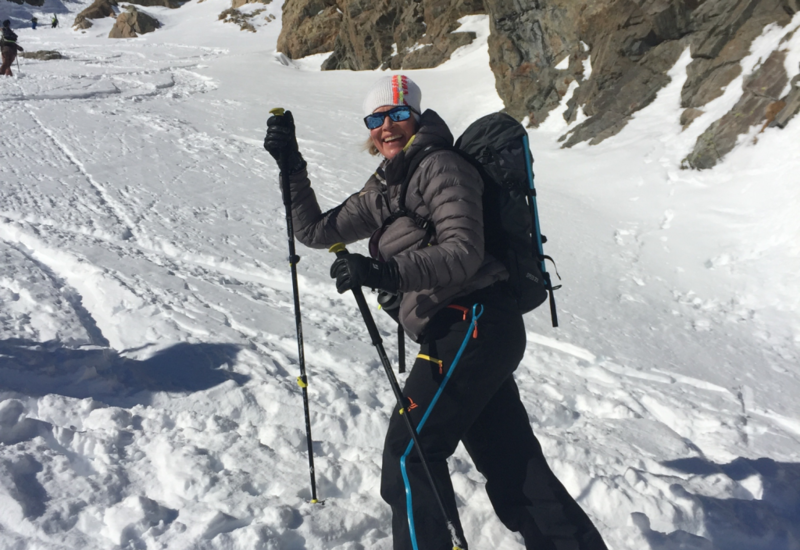 She is a former professional athlete with 24 speed skiing World Cup race wins, two overall World Cup victories and an Olympic Gold medal in speed skiing from Albertville 1992. Currently, Tarja heads our Central Europe coaching team and coaches our corporate clients. She is based in Zürich, Switzerland. How has the connection of wellbeing and performance been visible in your life? As an athlete, performance was obviously one of the cornerstones I was dealing with every single day. I was asking myself: how can I perform better in skiing, in training as well as presenting myself in front of the media and sponsors. I constantly wanted to perform better. During that time, I was not thinking about my wellbeing so much. I was young, and wellbeing was perhaps a bit self-evident. Without it, my performance was not optimal, but I was not focusing on it every day. When my career as a professional athlete came to an end, my perspective turned and wellbeing became more important. Being a mother of three children, my motivation to take care of my health grew. I realised that wellbeing was the key to be able to perform as a mother, as a wife and as an efficient employee. I have also experienced how easily wellbeing – or let’s say the lack of it – can shake your life balance. This became quite clear when my oldest son was diagnosed with type 1 diabetes. But as Dr. Aki Hintsa used to say, “you can’t control everything, but you can choose your attitude and actions”. This surely changed my priorities and the way I wanted to live my life. Have you noticed any similarities between the wellbeing challenges you faced as an athlete versus being a business professional? Yes, several: getting enough sleep, being able to manage stress, combining travelling with training and work, and to be able to perform well when suffering from jet lag. Also keeping up with your relationships, when your focus is on the goals you have built for yourself, can be challenging. The challenges people face in sports and business are actually pretty similar. For that reason, at Hintsa we tend to call business people “corporate athletes”. The main differentiator is that corporate athletes need to be in their top form almost every day, all year round, which makes it even more challenging. They also have very limited time to think about themselves, while athletes mainly have the luxury of focusing on themselves. What is performance coaching actually about? It’s about helping people to recognise their own challenges and, more importantly, help them make better choices to improve and overcome challenges hindering them to evolve. Many times, people might identify their challenges but don’t have the tools, support or encouragement and energy to make changes. These changes are often small but they can make a big difference in the long run. For example, the amount and quality of sleep is a big issue for many. People tend to sleep too little, 5-6hours per night, and wake up during the night to worry about ongoing things. Through performance coaching, we at Hintsa educate our clients why e.g. sleep is important for both your body and your brain. We measure their sleep to identify what could be the reason for bad sleep quality. Then we make an action plan for implementing simple and small actions to their everyday life and monitor what helps and what doesn’t. As our clients notice these little changes helping them feel and perform better, their motivation for following larger action plans grows. Through years of experience, we have noticed that as on individuals wellbeing increases, so does their performance. We all have so much unused potential just waiting to be unlocked! What have been some major challenges Swiss leaders face that you have noticed during your work at Hintsa? 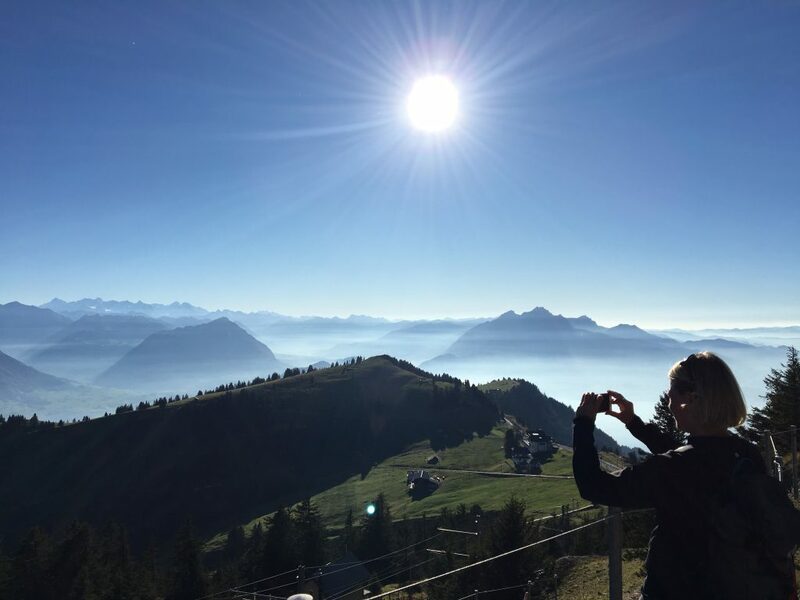 Many Swiss leaders base their identity in work. Their lifestyle is really hectic, the work environment almost brutally competitive, and they often lack the tools to manage stress or get sufficient sleep. Also, often the corporate culture doesn’t support health and wellbeing. The challenges tend to be centered around mental energy; time management, life management, how to keep life balance, how to maintain focus on the most important things to name a few. Frequently discussed topics are enjoyment: what is enough, how much more do I need, and what are the limits. Some of our clients can be very fit in terms of physical activity. With them it’s more about finding the right methods to slow down, to accept that sometimes you can take a moment to yourself and just relax. What gives you a sense of accomplishment in your daily work? It brings me joy when I notice that the actions we have planned together with a client have been implemented and they see some results. Sometimes it can be a session where you just listen when the client opens up about their everyday challenges. The moments like that are really extra amazing as they make you realise that you have been able to build a trusted relationship, which is the most important thing in coaching. As a coach, you need to reflect on yourself as well, and I really feel grateful to be able to work with Hintsa and its clients. 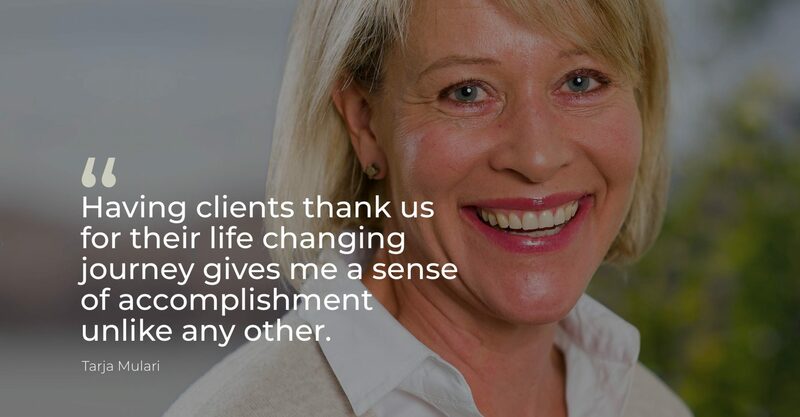 I’m perhaps the proudest when a client tells me at the end of their coaching journey that this has been a life-changing process – you don’t hear that in many professions! I’m really happy and content at the moment, but I’ve always been an explorer and hope to continue that in the future too. I know that we will grow even bigger as a company and it will give us all new exciting challenges. Also, it’s interesting to see how we can use our digital coaching tool Better Life, on a larger scale. I’m looking forward to expanding and building a coherent community and culture within our Central Europe team. Outside work, my heart is always pumping for mountains and skiing, so I think next winter I want to experience some nice powder skiing in a continent where I have not been skiing yet. I have to admit that this winter was pretty lousy from that perspective. But as I said, once an explorer always an explorer – my head is full of ideas and dreams and I too want to unlock my potential! Would you like to be part of our growing team of professionals? Visit our Career pages for job openings.